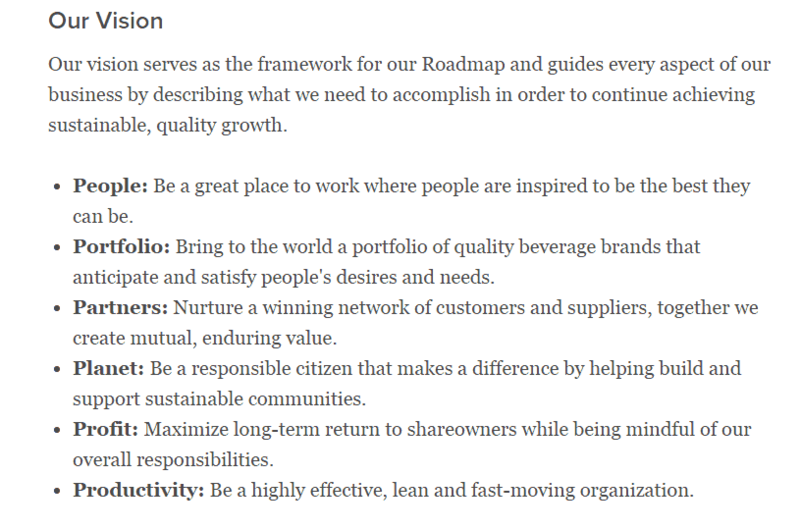 Is Coca-Cola A Mission Driven Business? I believe that businesses can change the world. I believe this because, we are stronger together and when we’re united under a common vision that there’s nothing we cannot do. You may look at the world around you and see that this is not the case anymore. This is why I believe business can change the world. Businesses have the one thing that is missing from our social endeavors, unity resources. Now some businesses catch this better than others, while others vision may only monetary. A friend of mine has a statement about businesses that goes like this, “A business has one purpose, profit.” I can agree in part because clearly a business that does not turn a profit will not last very long. That view in my opinion is short sighted at best and (word that sounds bad here) at worst. What I’m talking about is a Mission Driven business. Instead of a rant about social justice followed by a Pollyanna view of a world where rainbows and unicorns thrive, let’s take a look at what’s currently possible, and where there is huge potential. Every single case here is either real world happening right now or could. Also, in every single case moving toward a mission driven business (vs profit driven) would likely elevate profits, enhance what they are already doing and increase brand awareness. This isn’t a call to spend money, this is a call to be intentional with the power of unity behind a vision. Let’s stop and pause. Right now, there’s nothing about Coke’s marketing to me that says anything about these three. I bet you didn’t even know they had these three things written down. If they call me I’ll tell them, “Hey, delete the bottom two” – Refresh the world… That just gets me excited. Unfortunately, for the average Coke employee there’s nothing refreshing about what they are doing. I won’t go into their product but it’s just a business, a profitable business. Let’s keep going. (blah, blah) this is where it breaks down. You can read it for yourself. If I had to pinpoint where Coca-Cola lost it, it’s in their vision. Their entire Mission page reads like a textbook leadership manual but there’s no heart. Outside Refresh the world, it lacks the real clarity needed to change the world. What if we helped them a tad. If I had to keep the “P” motif, I’d say. People – Our people are our secret ingredients. They refresh and energize each other and create a rejuvenating environment in which to accomplish our Mission. I could do this to each one. However, I don’t think you want to read it, and frankly without knowing why Portfolio is in there or why is Productivity separate from People, I can’t really offer any insight. The rest of this page needs a redo as well. Mission: To refresh the world.. Vision: To quench the world’s thirst. Statement: Imagine a world where the beverage companies end world thirst. Every Coca-Cola product sold at retailers serves not only to excite the taste buds of those drinking but also provides drinking water to those that do not have access. 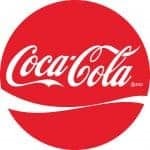 Together Coca-Cola’s secret ingredient (it’s employees) and non-profit organizations (like Charity:Water) work hand in hand in creating new innovative ways to solve this World problem while innovating new flavors and refreshment for retail partners. Is this far-fetched… uh, no. You can read it here, but Coca-Cola already does this. So why does the above excite you and I so much more than what they have. They’ve kept these things separate. It’s only through raising awareness of what they do at the Coca-Cola foundation that they’ll actually tie these together. Coca-Cola Foundation is doing some GREAT things worldwide. If they could simply UNIFY their entire company under this mission, they could end a World Problem. What do you think? Am I pushing Coke too hard on this? Are they doing a great job and don’t deserve my critique? Are they on the cusp of something even greater? Would you like to see more of these kind of posts?